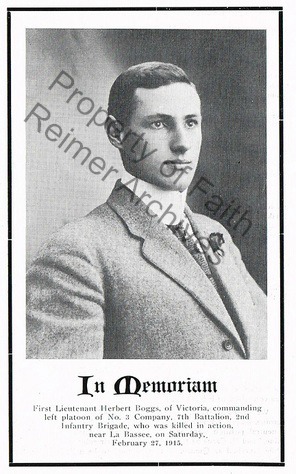 Died February 27th, 1915 at age 22. 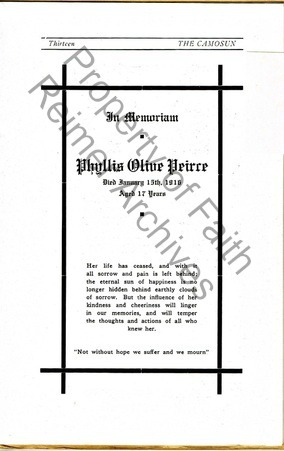 Memoriam of Phyllis Olive Peirce. Died January 15th, 1916, at age 17. 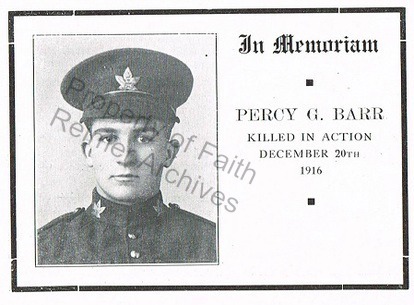 Died December 20th, 1916, at age 18. 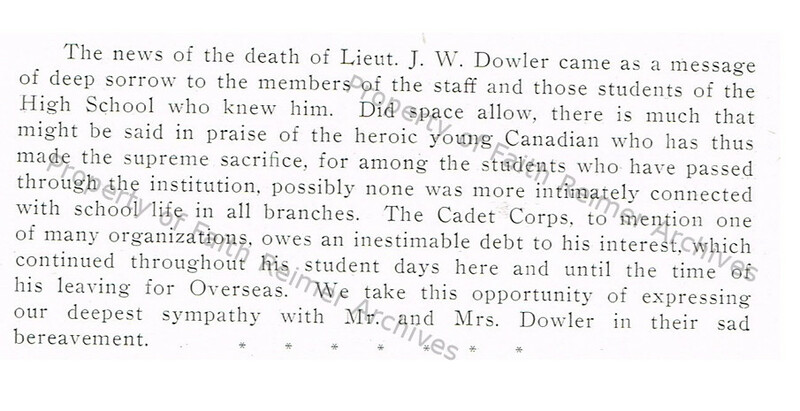 Memoriam of Lieutenant Jack Dowler. 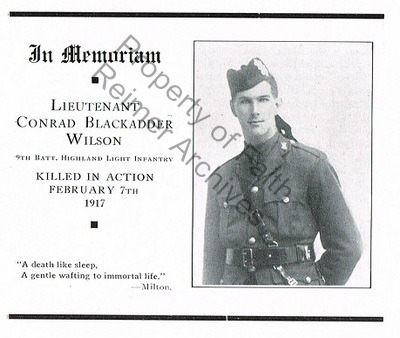 Died April 11th, 1917, at age 26. 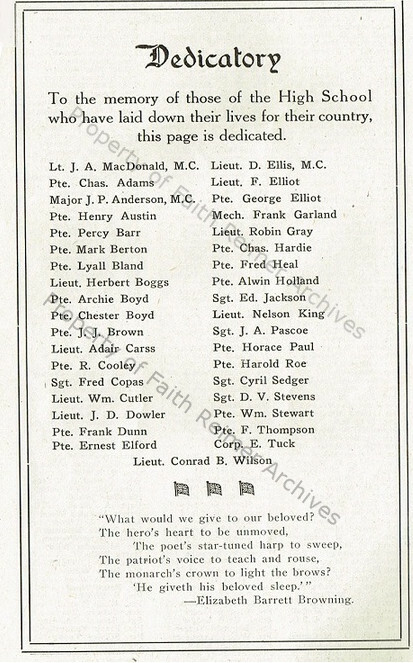 Dedicatory published in the February edition of the Camosun of 1918. 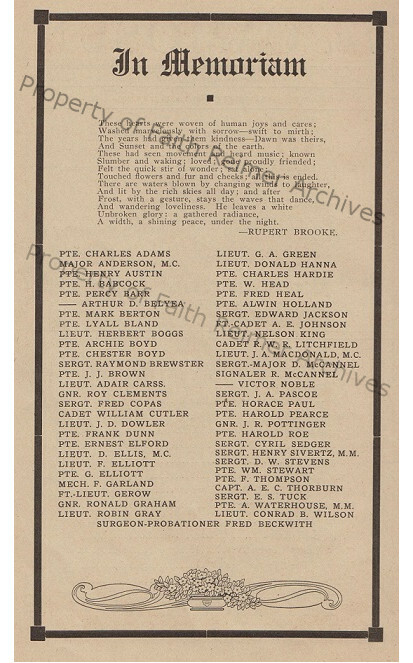 Memoriam in December edition of the Camosun in 1918 memorializing many of the students who had gone off to war and died overseas.